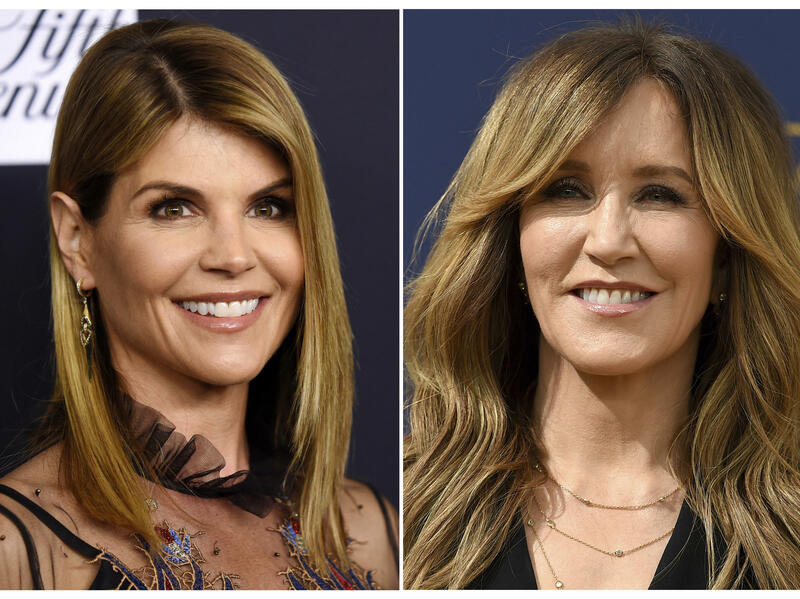 A composite photo shows Lori Loughlin (left) and Felicity Huffman — two actresses charged in what the Justice Department says is a massive cheating scheme that rigged admissions to elite universities. Federal officials have charged dozens of well-heeled parents, including actresses Felicity Huffman and Lori Loughlin, in what the Justice Department says was a multimillion-dollar scheme to cheat college admissions standards. The parents allegedly paid a consultant who then fabricated academic and athletic credentials and arranged bribes to help get their children into prestigious universities. 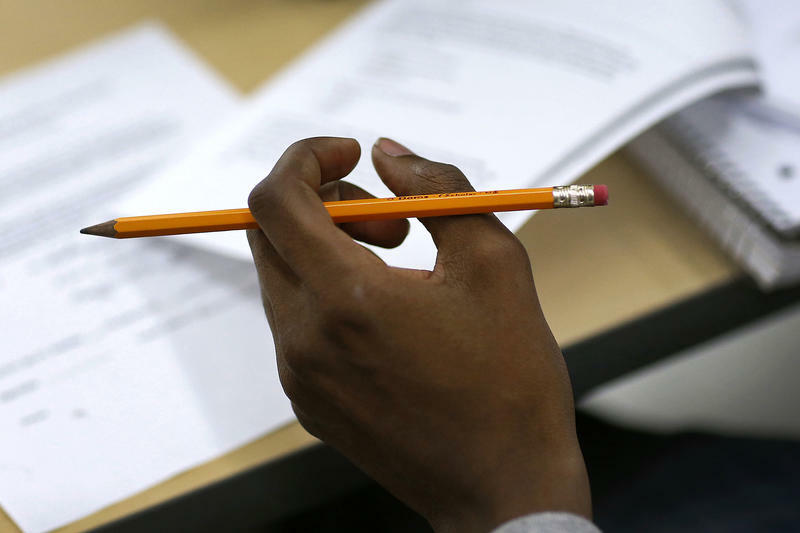 "We're talking about deception and fraud — fake test scores, fake credentials, fake photographs, bribed college officials," Andrew Lelling, U.S. attorney for the District of Massachusetts, said at a news conference Tuesday in Boston. Lelling said 33 parents "paid enormous sums" to try to ensure that their children got into universities such as Stanford and Yale, sending money to entities controlled by a California man named William Rick Singer in return for obtaining false records and false scores on important tests such as the SAT and ACT. Singer also presented his clients' children as elite athletes, Lelling said. "In many instances, Singer helped parents take staged photographs of their children engaged in particular sports," he said. "Other times, Singer and his associates used stock photos that they pulled off the Internet — sometimes photoshopping the face of the child onto the picture of the athlete" and submitting them to desirable schools. "Singer's clients paid him anywhere between $200,000 and $6.5 million for this service," Lelling said. The alleged scheme, he noted, was uncovered after his office got a lead from someone who "was a target of an entirely separate investigation, who gave us a tip that this activity might be going on." The scope of the case is massive — a total of 50 people have been charged in the admissions scheme. More than three dozen people in multiple states were taken into custody Tuesday as part of "Operation Varsity Blues," said Joseph Bonavolonta, special agent in charge of the FBI's Boston division, at the news conference. NPR wants to hear from anyone who has received advice from the man at the center of the college admissions scandal, William Rick Singer, and any of his companies — The Key, The Key Worldwide Foundation, Future Stars, The CollegeSource or others? Fill out the form below or here. A judge in Los Angeles ruled Tuesday that Huffman could be released on $250,000 bond and Loughlin's husband, fashion designer Mossimo Giannulli, could be released on $1 million bond. Loughlin has not yet been arrested. The scheme operated from 2011 through February 2019, Lelling said, adding that in most cases, parents paid Singer between $250,000 and $400,000 per student. "These parents are a catalog of wealth and privilege," Lelling said. "They include, for example, CEOs of private and public companies, successful securities and real estate investors, two well-known actresses, a famous fashion designer and the co-chairman of a global law firm." The parents were already able to give their children "every legitimate advantage," but instead they "chose to corrupt and illegally manipulate the system for their benefit," Lelling said. "There will not be a separate admissions system for the wealthy," he added. "And there will not be a separate criminal justice system either." The parents were charged with conspiracy to commit mail fraud and honest-services mail fraud. Other defendants in the case include university athletic coaches and college exam administrators — some of whom are accused of accepting bribes. The charges are part of a complex case that has been kept under seal. Documents related to the case were revealed Tuesday, as Singer pleaded guilty to a number of federal crimes from conspiracy to commit racketeering and money laundering to obstruction of justice, according to Lelling. A former head sailing coach at Stanford, John Vandemoer, also pleaded guilty Tuesday. Singer "owned and operated the Edge College & Career Network LLC ('The Key') – a for-profit college counseling and preparation business – and served as the CEO of the Key Worldwide Foundation (KWF) – a non-profit corporation that he established as a purported charity," the Justice Department said in a statement. On its website, The Key promises to "unlock the door to academic, social, personal and career success." The foundation says it "has touched the lives of hundreds of students that would never have been exposed to what higher education could do for them." Court documents state that the following schools were targeted as part of a "student-athlete recruitment scam": Yale University, the University of Southern California, Georgetown University, UCLA, Wake Forest University, Stanford University, the University of San Diego and the University of Texas, Austin. Parents allegedly paid Singer a total of about $25 million that was then funneled into bribes for coaches and a university athletic administrator, according to court documents. In return, the students were allegedly designated as "recruited athletes," which could increase their chances at gaining admission. For example, the indictment states that "Singer and his co-conspirators made payments totaling $250,000 to a bank account at USC that funded [then USC head water polo coach Jovan Vavic's] water polo team." Vavic then allegedly designated two students as water polo recruits. The complaint also says that Singer contributed to the private school tuition for Vavic's children in exchange for his "commitment to designate Singer's clients as recruits for the USC water polo team in the future." USC said in a statement that it is carrying out an internal investigation into Vavic and other current and former employees who have been charged "and will take employment actions as appropriate." In another example of the scam, Lelling said former Yale women's soccer coach Rudy Meredith took $400,000 to designate a potential student as a recruit for the team — boosting the student's admission prospects — despite knowing that the student didn't play the sport competitively. Once the student was accepted to Yale, her relatives paid Singer approximately $1.2 million, including $900,000 to one of KWF's charitable accounts, according to court documents. Last April, Meredith allegedly met with the father of a second prospective student in a hotel room in Boston — a meeting that was secretly recorded by the FBI. In it, Meredith offered to designate the man's daughter as a soccer recruit in exchange for $450,000, court documents state. Meredith resigned his long-held post in November. In a statement to NPR, a Yale representative said: "As the indictment makes clear, the Department of Justice believes that Yale has been the victim of a crime perpetrated by its former women's soccer coach. The university has cooperated fully in the investigation and will continue to cooperate as the case moves forward." The court documents also detail numerous examples of how the test score scheme worked. The Justice Department said Singer sought to manipulate college entrance exams either by gaining extra time for his clients' children to take the SAT and ACT through bogus claims of learning disabilities or by bribing test officials outright. Singer also orchestrated scenarios under which students took tests overseen by test administrators at two locations, at a public high school in Houston and at a private college prep school in West Hollywood, Calif. Federal prosecutors say Singer paid administrators Niki Williams (in Houston) and Igor Dvorskiy (in California) bribes of as much as $10,000 per test. To ensure a high score, Singer allegedly arranged for a third person "to take the exams in place of the students, to give the students the correct answers during the exams, or to correct the students' answers" after they took the test, the Justice Department said. That role allegedly was often played by 36-year-old Mark Riddell of Palmetto, Fla.
"Singer's clients paid him between $15,000 and $75,000 per test, with the payments structured as purported donations" to a purported charity that Singer controlled, the Justice Department said. "In many instances, the students taking the exams were unaware that their parents had arranged for the cheating." Bribe payments were allegedly disguised as charitable payments to Singer's foundation, the KWF, the Justice Department says — an arrangement that enabled the clients to "deduct the bribes from their federal income taxes." On its website, KWF describes many of the students it has helped as having "only known life on the streets, surrounded by the gang violence of the inner-city." The foundation says it has worked with a number of groups, from Los Angeles-based LadyLike Foundation to the Houston Hoops youth basketball program. David Sidoo, 59, of Vancouver, Canada, was charged in an indictment with conspiracy to commit mail and wire fraud. Sidoo was arrested on Friday, March 8th in San Jose, Calif., and appeared in U.S. District Court for the Northern District of California [on Monday]. A date for his initial appearance in federal court in Boston has not yet been scheduled. Niki Williams, 44, of Houston, Texas, assistant teacher at a Houston high school and test administrator for the College Board and ACT. Robert Zangrillo, 52, of Miami, Fla., founder and CEO of private investment firm. You may not realize this, but when you get that financial aid letter from a college, nothing is set in stone. “There’s more haggling going on here in this industry,” says Nick Ducoff, who adds that the overwhelming majority of colleges spend a fortune on recruiting students. “Ultimately, they’re trying to hit their enrollment goals, and so if they end up being off by some amount and they want that student to matriculate, they’re often willing to engage with that student and their family to kind of close the gap,” Ducoff says. 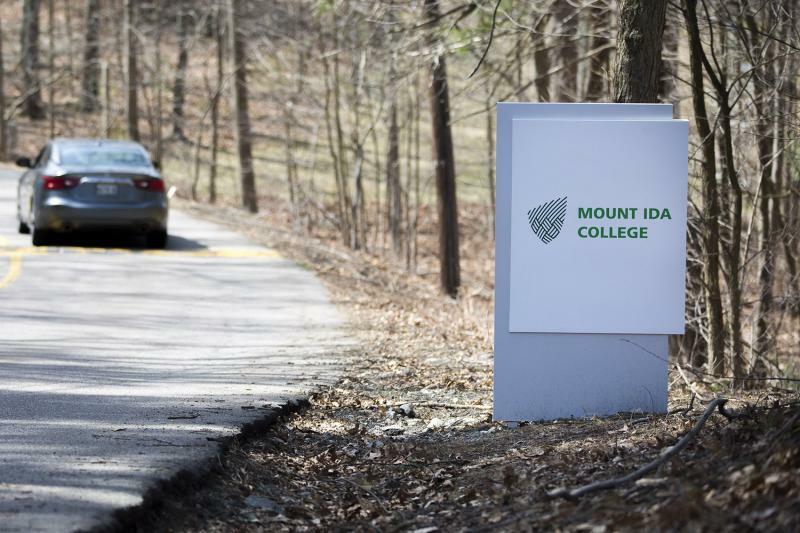 Starting in May, the UMass Amherst business school is offering a degree-granting program on the former campus of Mount Ida College, in Newton. Some professors at UMass Boston are angry about the move. They see it as UMass Amherst competing directly with UMass Boston’s business school. UMass Amherst’s Isenberg School of Management will offer a master’s of science in business and analytics on the old Mount Ida campus. At a press conference on January 15, Hampshire College President Miriam Nelson announced the small, liberal arts college was seeking a "strategic partner." She didn't specify any potential partners, or say whether it would necessarily be another school. Should Massachusetts brace for a small-college crunch? Hampshire College announced Tuesday that, in response to what its president called “bruising” financial and demographic trends, it will seek a “strategic partnership” to carry it into the future. College officials are still weighing whether or not to admit a freshman class for next year.